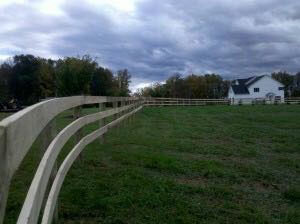 ProFence LLC is a fence company in Shippensburg, PA that serves the Eastern USA. 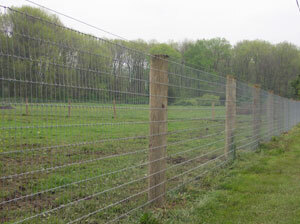 We provide and install fencing for farms and ranches to keep livestock in and predators out. The materials we use is of the highest quality and in many cases will last a lifetime. 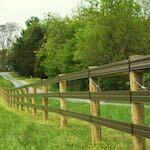 Our fence installation services are performed by seasoned veterans with decades of experience. Take a look below at the different types of fencing our fence company provides and applications for each. 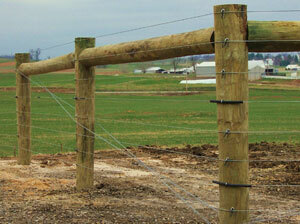 A board fence is the most attractive fence a farm or ranch can have. Your properties resale value will certainly rise with the design and artistry of a wood board fence. Wood options include Oak, Hemlock, and Southern Yellow Pine. An electric fence may be the most misunderstood fence. 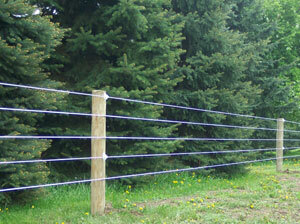 The goal of an electric fence is to create a psychological barrier rather than a physical one. The charge is just enough to get the animals attention without any harm. 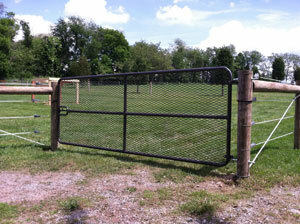 We build and install gates for farms and ranches. 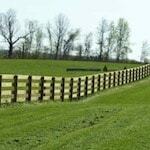 We will match the look of your current fence to create uniformity. No matter what your needs are for a gate, we can help. A high tensile fence is the most popular fence being installed today. There are several factors why. There are many animals that can be enclosed with high tensile fencing and many predators that can be kept out. A high tensile fence is very economical and durable. A poly coat fence is designed for visibility. It is primarily used to enclose horses. You can charge the poly coat fence to keep the horses from pushing up against it. 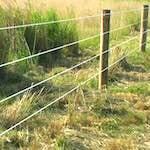 This will increase the longevity and effectiveness of the fence. 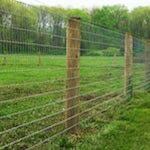 A woven wire fence is a tight grid of wires that is nearly impenetrable. 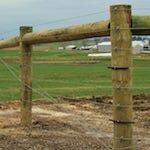 The combination of strong wood posts and the wire mesh will keep small and large animals in or out. 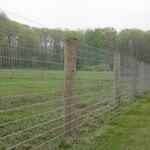 If security is your highest concern, a woven wire fence is the way to go.